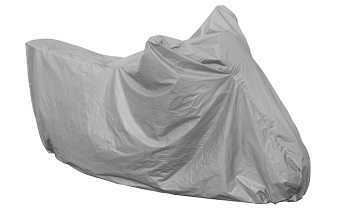 Custom tailored Motorbike cover for the Traditional Scooter range. This cover comes in its own handy case and tailor made from the best materials available. This is designed to cover the following dimensions. Maximum length 175cm, Maximum height to handlebars 90cm, Maximum width across handlebars 85cm and Maximum height to rear of the seat 75cm. When you have measured your bike and decided on the cover you need, simply change the boxes below to the correct type of cover for your Bike.